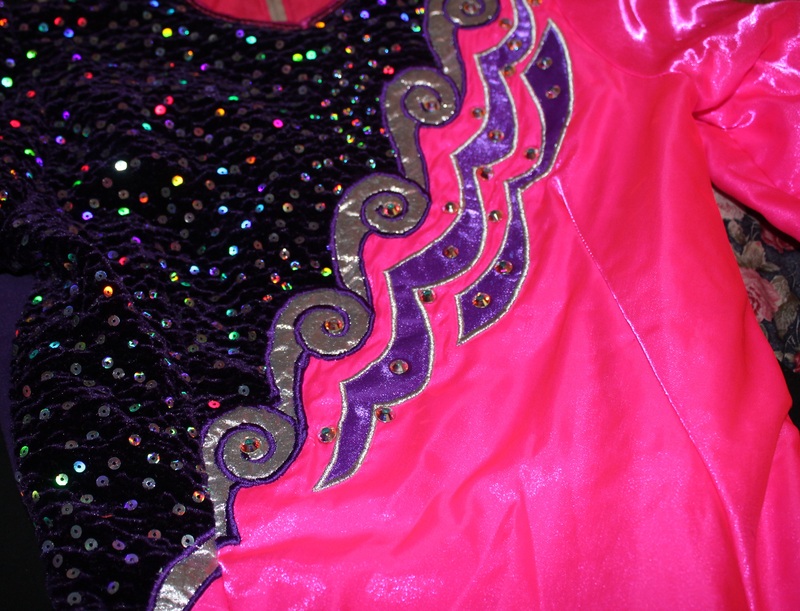 Pink and purple Ann Caden dress with silver detail. 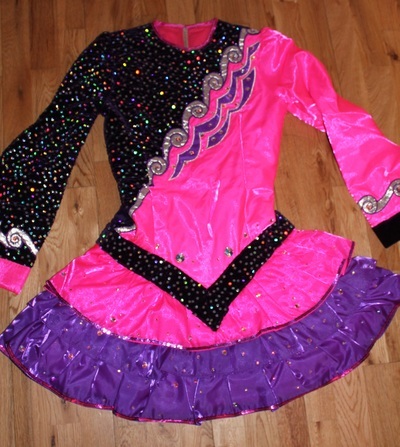 Worn by 5′9″ senior dancer. In perfect condition. A deep purple sequinned velvet is used on the front and around the dropped waist, it is also used for the bow at the back. A non sequinned deep purple velvet is used on the back of the dress to prevent wig getting snagged. 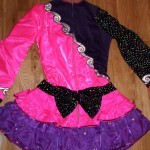 A purple satin is used on the skirt and pink satin is used throughout the rest of dress. Lining is also pink. 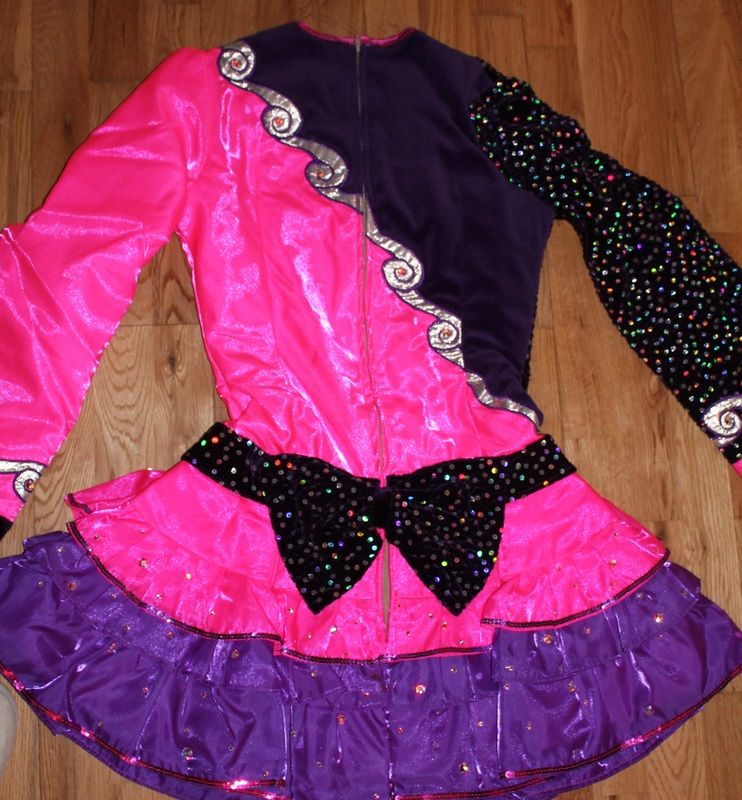 Skirt is 3 tiered ruffles and covered with genuine AB swarovski crystals of various sizes. 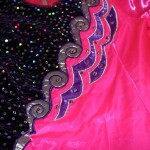 Many other swarovski crystals have been added throughout the dress. Dress comes with matching pink kickpants.